Many people miss out on taking all the deductions they’re entitled to. Poor recordkeeping is often the culprit, as well as not knowing what’s deductible. Sometimes it’s just procrastination. Here’s what to do. 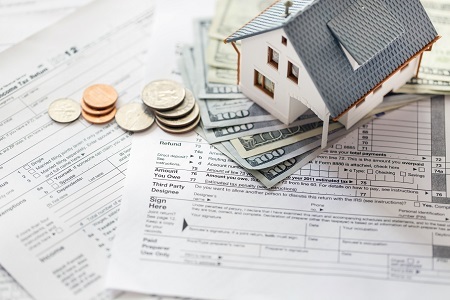 Most people who itemize deductions underreport their charitable contributions because they don’t keep records throughout the year. Missing many small donations can be costly. If you dropped off a bag of clothing at a local charity or gave them $5 at the cash register of your grocery store, make sure to track these contributions so you get the highest tax benefit possible. Donations to eligible nonprofits, religious organizations, and government organizations (such as a school or public library) are deductible. Especially if you give cash or goods, get receipts from the organization. Using software, such as Quicken, makes it easier to log donations. You can use a standard mileage rate of $0.14 per mile to figure your vehicle deduction for miles driven in service to a charitable organization. For instance, you can deduct mileage for driving to a shelter to serve meals to the homeless. You can deduct parking fees and tolls too. If you own appreciated securities in a taxable account, consider contributing some of them. If you contribute a stock, bond, or fund with an unrealized long-term capital gain, you can take a tax deduction for the value of the security as of the date of the contribution, while avoiding paying capital-gains tax. Always contribute the security directly. Never sell a security, pay tax on the capital gain, and then donate the proceeds. If you’ve sold your home at a gain, you may exclude up to $250,000 of the gain if you’re single or $500,000 if married filing jointly. It must have been your main home during at least two of the last five years. When calculating the gain on your home, you determine the difference between the proceeds of your sale and your basis. Your basis includes what you originally paid for the home, plus any improvements you made. Improvements include big items, such as an addition, and even smaller items, such as a fence. You can also add to the basis the agent’s sales commission and some settlement fees and closing costs – such as legal fees, recording fees, and survey fees. Keep clear records to substantiate your basis in case the IRS ever audits you. When you reinvest a dividend in a stock or a fund, make sure to add this amount to your basis in the security. Every brokerage firm will now do this for you automatically, but if you own stock directly, you may have to do it yourself. By tracking the basis, you can reduce your capital gains tax if you sell the security at a higher price later. These are deductible when they exceed 2% of your adjusted gross income. Fees related to tax-exempt income, however, aren’t deductible. To deduct investment-management fees on your retirement accounts, you must pay them with non-retirement assets. If your advisor automatically debits your IRA for their fee, it’s not deductible. But if your advisor bills you, and you mail a check, it’s deductible. I usually recommend paying investment management fees for retirement assets separately. You get a double benefit: Your plan grows faster and you get a deduction. These are deductible for a job search in your current line of work. Deductible expenses include costs of a job-placement agency, the costs of preparing or mailing résumés, and travel expenses. If the main purpose of the travel is to look for a new job, you can deduct a mileage rate of $0.54 per mile. Pay yourself. If you have a 401(k) or 403(b), any contribution you make reduces your taxable income dollar-for-dollar. If you’ve contributed little or nothing this year, you can contribute a lump sum from your paycheck to catch up. The December 31 deadline is absolute. Consider selling off losing investments in non-retirement accounts. You can use the losses to offset any gains you may have had this year. If your losses are greater than your gains, you can use up to $3,000 of loss to reduce your other income, and carry over the amount above $3,000 to future years. When selecting investments to tax-loss sell, consider investments that no longer fit your strategy or can be easily replaced by other investments that fill a similar, but not identical role. It’s usually easiest to just to replace the investment you sold with a similar one. However, the definition of substantially identical can be tricky, so it’s a good idea to consult an expert if you have any doubts. You may choose to deduct either state and local income taxes, or state and local sales taxes (but not both). Melinda Kibler, Certified Financial Planner (CFP®), Enrolled Agent (EA), is a portfolio and client service manager with Palisades Hudson Financial Group in Fort Lauderdale, Florida. Palisades Hudson Financial Group (www.palisadeshudson.com) is a fee-only financial planning firm and investment manager based in Scarsdale, NY, with more than $1.2 billion under management. It offers financial planning, wealth management, financial management and tax services. Branch offices are in Atlanta; Austin, Texas; Fort Lauderdale, Florida; and Portland, Oregon. Follow Palisades Hudson on Twitter, LinkedIn, and Facebook.